congrats for your wedding! we are too planning a wedding in Dubrovnik, this year in May (it's getting scarily close! 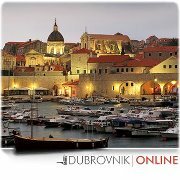 and we were recommended (by a hotel we contacted) a local wedding planner- Ines from Dubrovnik event. She used to work at hotel Dubrovnik Palace for a few years before starting her own wedding planning business (there are some good posts about her work here as well, what gave me extra confidence to contact her). You can check them our at dubrovnikevent.com I am sure you'll be happy, as we really are- Ines arranged absolutely everything for us, including accommodation, dinner venue, flowers, photographer, boat cruise after the ceremony, all documentation which I am sure would've been a nightmare for us to do on our own, and pretty much every single detail for our wedding. Now we just pray for nice weather. glad to hear you're planning your day in Dubrovnik as well! I am getting really excited as it's a bit more than one month away!